I came across yet more studies focusing on the benefits of Intermittent Fasting. One of the claims re AGEs and other heat-created toxins is that the levels thereof in the body can be reduced considerably via eating less/fasting. I begin to wonder if some(not all) of the benefits of Intermittent Fasting/caloric restriction may be mainly due, simply, to reducing the intake of cooked-foods rather than reducing intake of all foods, cooked or raw. That said, I still think IF has its uses, but perhaps more so for cooked-dieters. That's a logical way of putting it. Maybe this is why Aajonus is not a fasting fan. Yes, that’s exactly the inference GC Burger came to, some 40 years ago ! Only instinctive fasting may be helpful. Francois, what texts or people contributed to GC Burger's insights and knowledge? I'm guessing that Tanchou was one. France has been a good incubator of revolutionaries with insights into the diet - health - chronic disease connection. it points out that Stanislaw Tanchou "....gave the first formula for predicting cancer risk. It was based on grain consumption and was found to accurately calculate cancer rates in major European cities. The more grain consumed, the greater the rate of cancer." Tanchou's paper was delivered to the Paris Medical Society in 1843. He also postulated that cancer would likewise never be found in hunter-gatherer populations. This began a search among the populations of hunter-gatherers known to missionary doctors and explorers. This search continued until WWII when the last wild humans were "civilized" in the Arctic and Australia. No cases of cancer were ever found within these populations, although after they adopted the diet of civilization, it became common. This is truly amazing: We've known for more than 150 years that grains are killing us and what is it we're eating more and more: Grains and refined carbohydrates. Just one more reason to adopt a healthier diet, like the Specific Carbohydrate Diet, Low-Carb diet or Paleolithic Diet. GC Burger knew about Weston A. 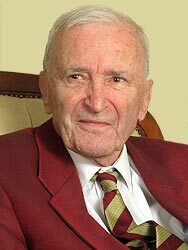 Price “Nutrition and Physical Degeneration”, I know because we talked about it, but not about Stanislaw Tanchou. I’ll ask GCB about that. Thanks for the info. I always thought it was 'interesting' that his wife, I think Nicole, died of cancer. In the end I heard she turned to eating bread for some reason. I had know her from the several trips I made to their center. There always seemed to be such a restless quality about her. I've noticed, interestingly, that it's becoming more dangerous for me to eat cooked foods. Well, not dangerous but inconvenient as it makes me vomit. Yesterday, I had some sushi. Normally, in restaurants, this would never once be a problem, but , in this case, I think I ate too much in one go and the sushi was from a sushi-specialist shop. Might have something to do with chemicals added but I think the real reason was that cooked food stays much longer before passing through my digestive system so that if I eat too much of it, I will vomit much of it up. Cooked bacon is something that I would eat as a compromise food at other peoples' houses and restaurants, but it is making me increasingly nauseaous. I think it's mainly the salt but I wonder if it's the cooking too. Well, the Daily Telegraph came up with yet another study damning the consumption of cooked-meats claiming a reduction in lifespan therefrom. I know people tend to cite conspiracy theories but when there are so many such studies, it becomes clear that there is something to the myriad conclusions. It's no coincidence, IMO, that the diseases routinely linked to increased cooked-meat-consumption, such as coronary heart disease etc., are also the ones directly linked to the levels of AGEs(mostly heat-created toxins) in the body. In other words, while trans-fats and (refined) sugars are pretty bad, cooked-meats(and pasteurised dairy) come a close 2nd in terms of lifespan-reducing foods. That's not to say that fruit and veg(the most commonly cited healthy lifespan-increasing foods) are necessarily ultra-healthy, either, given my Fruitarian experience ages ago(they aren't complete foods, after all).But the fact that fruit is nearly always eaten raw, with vegetables usually only being lightly steamed(and with far fewer AGEs being produced by cooking plant-foods , by comparison, anyway) means people with high levels of plant-foods in their diet are usually consuming far lower levels of heat-created toxins than other types of people such as cooked-low-carbers, thus resulting in a longer, healthier lifespan. The big cooked meat eaters tend to also eat a lot of refine carbs, sugar, rancid vegetable oils, industrial food, pasteurized dairie, soda, etc. I don't know if one can conclude anything about such studies if the entire diet (including cooking methods) is not taken into account. There is no doubt that AGEs from cooked-meat are very dangerous, but meat is a paleo-food that we are adapted to, contrary to the junk food that people commonly eat with it. Some people on a lightly cooked meat diet seem to thrive. Only a study on a cooked-meat only diet can be conclusive! The trouble with this notion is that study after study proves that the higher the (cooked-) meat-intake, the worse the health-problems are ! In other words, the incidence of refined sugars, trans-fats etc. is accounted for ! Just because someone is eating more cooked meat does not mean they are eating less other stuff. They could just be eating more food, cooked food and junk food, in general, and I would assume they would have poorer health because of it. Well, if study after study shows that the higher the percentage of cooked meat in the diet, the higher the mortality-rate is, then, logically whatever's left out of a 100% total must be getting smaller, by comparison, as a percentage - and therefore is, increasingly, less likely to be a factor behind the mortality stakes, with increasing meat-consumption being the more likely factor. Plus, there's the issue of appetite - people eating lots of refined carbs generally have a much bigger appetite than those eating mainly (cooked) meats, because there's no "stop" feeling with refined carbs, so, those on junk-food diets involving lots of refined carbs and not much meat would eat far more than the mainly-meat-eaters. I do find that a lot of WAPFers have real problems trying desperately to explain away the deleterious ill-health caused by (lightly-cooked) meat diets. They always cite things like trans-fats or refined sugars, but these are only a very tiny component of a (reasonably healthy) cooked diet by comparison to cooked meats, say, so are far less likely to be the cause behind the rising mortality than increasing cooked meat in the diet. As regards lightly-cooked meat diets, I have to say that I have not been too impressed by the gurus of those diets. The Bear had(still has?) throat cancer, Stephen Byrnes died at 41, Dr Atkins died of coronary heart disease(which is a condition brought on by heat-created toxins such as AGEs), and Stefansson died of a stroke(also linked to AGEs)at the age of 82. I quite agree that simply by following a lightly-cooked-meat-based diet and avoiding non-Palaeo foods like grains,legumes or dairy, one can avoid a certain range of conditions, but that still leaves a whole range of other conditions such as coronary heart disease etc. etc., which are directly linked to cooked-meat-consumption. Lastly, my own experience showed me that merely lightly-cooking my meats and eating only wild or grassfed(this was well before going rawpalaeo) did nothing for my own previous conditions(just made things worse, if anything). In the studies you refer to, does cooked meat include charcuterie (cooked pork meat? ), saucisse (sausage? ), pâté, industrial processed meat, etc. ? These heavily processed food, not only contain a very high AGEs content, but also several kind of chemicals, and have nearly no nutritional value. All this could explain easily the higher mortality-rate in cooked meat eaters. re appetite : lean meat has no more "stop" than refined carbs. It is the fat in the meat that is satiating. The mainly-meat-eaters eat lean meat, like the majority. They also eat lots of carbs, otherwise they would get sick (rabbit starvation). Thus, they probably have the same appetite than mainly refined carbs eaters. Traditional dishes always include carbs and meat. Carbs or meat are never eaten alone. We don't know enough about the life and personal history of the gurus you cited to conclude anything. Even the perfect diet won't delete damages done by decades of junk food and unhealthy WOL. The fact remains that some (not too sick) people can thrive on a lightly cooked fresh meat, like the ones on the ZC forum. My own experience is that I also do better on lightly cooked meats than on plant foods, with raw meats being even more optimal. I don't know Tyler, you could have 50% of your diet be meat but be eating 4000 calories a day, or you could have 70% of your diet be meat and be eating 2000 calories a day. Or any number of scenarios. I would not take any number of modern "science" research to be conclusive evidence of anything. There's many factors, such as the average person concerned with health nowadays leans towards vegetarianism, and they also probably exercise more and smoke less etc than the average person. That alone would skew vegetarians, or people who eat very little meat, towards the healthy side of things. There has never been a respectable study done putting a wide swath of people on specific diets and observing greatly the health changes. All the studies ever done have made sweeping assumptions about diet and other environmental factors and really don't control for anything at all except the one variable they're trying to push an agenda forward on. I'm sure you can find just as many studies that "prove" that a certain drug makes people healthier. Not that research is useless, just that in light of personal experience and the experience of anyone I've ever met in real life it's hard to believe that cooked meat is so bad and cooked veggies so good. It's a mistaken assumption that vegetarians are necessarily healthy-minded. For example, they generally eat more highly-processed artificial meat-substitutes like tofu than meat-eaters. As regards the studies, while some focus on all meats including processed meats, plenty of others separate cooked meats from processed meats as a factor, yet still show a definite increased mortality-risk for (cooked) meats. Re cooked-meat diets:- Actually, it's been openly admitted by Ray Audette and co, that most people are eating commercially-raised (cooked) meats which are pretty high in fat as grainfed meats are generally much higher in fat-content than grassfed meats. Plus, of course, some people also eat high-fat dairy as well. *There are dishes containing only carbs or only animal foods(eg:- steak tartare= just raw meat and butter). Re gurus:- It stands to reason that if a diet is any good that the guru would do it for the rest of his life and gain benefits therefrom rather than dropping dead from heart-attacks etc.. The fact that cooked, low-carb gurus have led such unhealthy lives is a clear indication of the relative ill-health those diets involve. Just take a look at Stefansson's aged face on the Internet and you'll see what I mean re negative results. I'm not saying cooked meat is good. My main beef (no pun intended) is with all these studies that people basically can use one way or the other. I was brought up recently in the biological sciences discipline and I am not at all impressed with how research is conducted, how things end up in journals, where the debate starts, etc. The only way you could come close to proving that cooked meat is worse than vegetables would be to have two groups on the same diet save ratio of cooked meat, and do that for years. This will never happen. And just because vegetarians eat tofu doesn't mean they aren't health minded. They believe that tofu is healthy, and if you're doing something because you believe it's healthy, that is by definition health minded. Someone that eats tofu is several times more likely in my anecdotal research to exercise or not smoke over someone who eats normal SAD foods. I'm not saying tofu is better than a cheese steak or ham sandwich, just that the person eating the tofu believes it is and therefore is doing something specifically for health, whereas someone eating "regular" food is just doing what they like for taste or social pressures or how they were raised. Well, we will have to agree to disagree on this issue.For my part, I believe in peer reviews and that science moves on by concensus, so that when a huge majority favour 1 angle then that must be right re its results(though I would freely accept that the way they interpreted the results was often wrong(for example the damning of cooked saturated fats now is clearly shown as misguided with heat-created toxins from cooking being identified as the key suspects behind ill-health). By the way, there are some long-term studies which are of interest, such as the ones done on 7th-day adventists(mostly vegetarian vegan-leaning). I was talking about the vast industry of "meat-substitutes"(ie plant-foods artificially highly-processed to look and taste like red meats(I presume there are also vegan substitutes for dairy and eggs?). The point is that such vegans/vegetarians are not eating these foods for health reasons(many admit that these foods are very unhealthy), but eat them so as to prevent themselves from eating real meats, instead, as they consider the consumption of real meats to mean cruelty to animals. The propaganda that is presented as science does indeed move by consensus, result is "The Paleolithic Diet" of L. Cordain. I prefer to believe that science moves by discovery of truth. (though I would freely accept that the way they interpreted the results was often wrong(for example the damning of cooked satured fats now is clearly shown as misguided with heat-created toxins from cooking being identified as the key suspects behind ill-health). What??! Are you undamning tallow? Traditional main dishes like pizza, couscous, paella, tagine, pho (vietnam), etc. include meat and carbs. Virualy every country in the world use starchy food as a staple : grain (wheat, corn, rice, etc. ), roots, banana, etc. In this world, meat only eaters are on this board or the other (just joking). Of course not, tallow contains large amounts of heat-created toxins, so is extremely unhealthy for you. An exception that merely proves the rule.